The BIOGAS Convention will take place parallel to the EnergyDecentral (EuroTier) on the 14th and 15th November 2018 at the Hannover Exhibition Center in the conference area Hall 2. 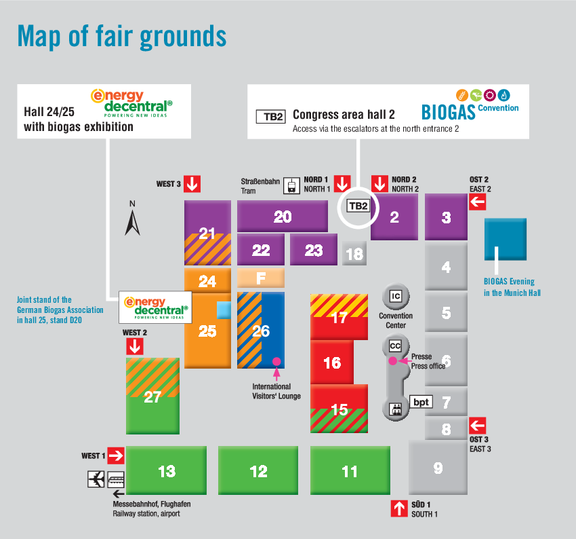 In hall 25, stand D20 of the EnergyDecentral (13th - 16th November 2018), you will find the joint stand of the German Biogas Association. Our travel partners and partners for hotels and accommodations will gladly assist you with your travel planning.